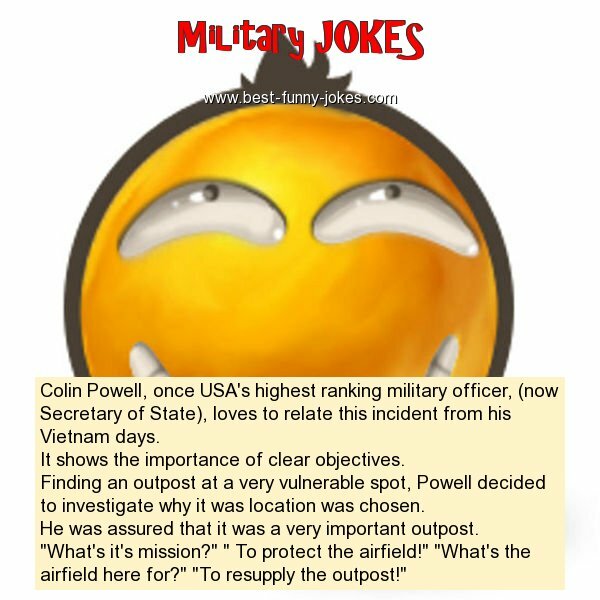 Colin Powell, once USA's highest ranking military officer, (now Secretary of State), loves to relate this incident from his Vietnam days. It shows the importance of clear objectives. Finding an outpost at a very vulnerable spot, Powell decided to investigate why it was location was chosen. He was assured that it was a very important outpost. "What's it's mission?" " To protect the airfield!" "What's the airfield here for?" "To resupply the outpost!"